If you know me or this website, you’ll know that I love cats, no matter what they look like. 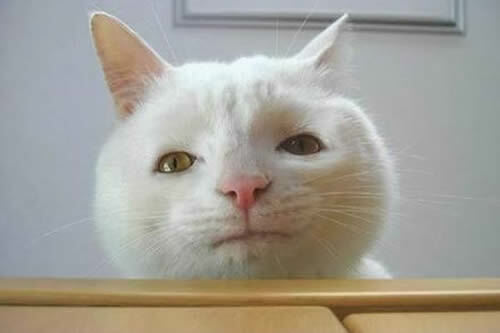 But we can not hide the fact that some felines are very pretty and others are… well… less pretty to put it gently. 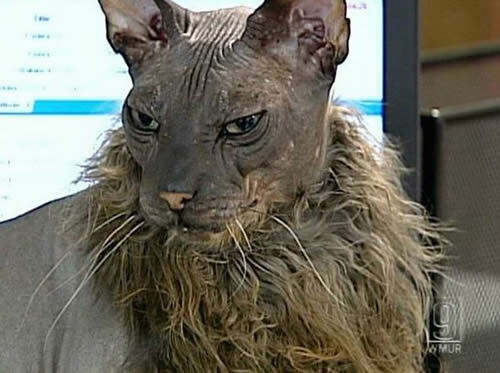 We’ve put together a top-5 of the most hideous, ugliest and gruesome cats. 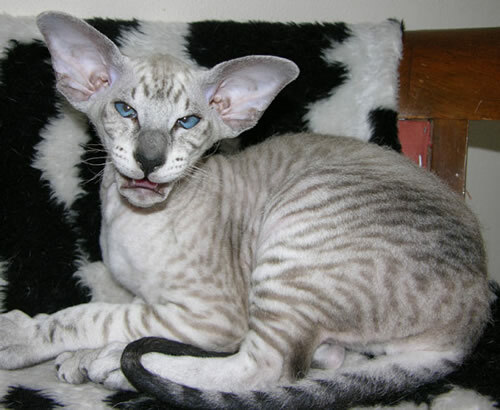 Maybe ugly is not the right word… But I just get creeped out by cats who have weird looking faces. They are just so vague I don’t know if I should laugh or run away in terror. 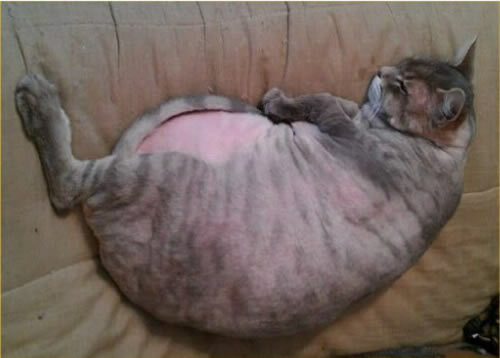 Sign this cat up for a make-over program. Hitting the gym wouldn’t be a bad thing, and joining the Hair-club for cats neither. Those Ears! Those eyes! That Mouth! It looks like this Gizmo got wet already and turned gremlin. 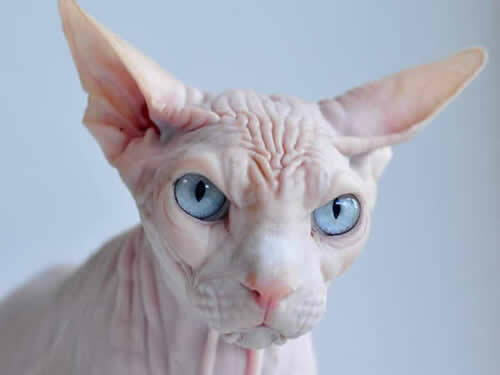 Okay, hairless cats can be pretty and cute aswel, but this guy… Its not so much his hairless wrinkled forehead or those glow-in-the-dark eyes. It’s the expression that’s saying “Tonight I’ll choke you in your sleep!”. I once had a breeder tell me that pure breeds have the looks – but “pet quality” cats have the personality of the breeds. Let’s hope that this poor physically ungifted kitty has the personality in spades. Goofy genes can hide a swwet soul in a pet (and in people). Does anyone know the names of these cat breeds? I know #2 is the Sphynx but not sure about the rest. # three is adorable!!!!! I’ve got to know more about him.